If what you crave for is a pain-free ability to create your own icons, then Any to Icon may be the way to go. This slim application provides you with a handy conversion wizard to produce multi-resolution Windows icons from images and Mac OS icons. Images may come in a variety of formats, including BMP, WBMP, JPEG, GIF, PNG, PSD, TIFF, XPM, XBM, ANI, and CUR. In addition to icon creation, Any to Icon gives you an extra ability to extract icons from folders and libraries to save them as individual icons in folders of your choice. Creating icons with Any to Icon is remarkably easy and does not require any advanced knowledge of computers, or graphic design. The program offers you a wizard that guides you through all icon conversion stages in a point-and-click fashion. Simply select a file, or a folder with images, customize icon output settings that include icon size, color depth, transparency, and specify a destination folder. Based on these settings, the converter automatically produces an icon or a set of icons in a blink of an eye. For your convenience, Any to Icon supports drag-and-drop for adding image files from Windows Explorer with a mouse. Usability and functionality were our Polestar, while we were developing the new version of IconUtils. IconUtils is a complete workshop for icon crafting. 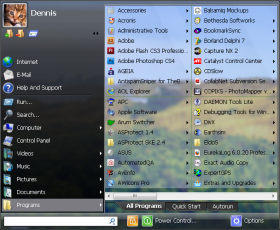 The suite consists of several programs; each was designed to process icons in its special way: IconLover is an icon, cursor, image editor and manager; Any to Icon is a converter for converting graphic format files to icons; Icon to Any is a converter for converting icons to various formats of graphic files; AhaView is a handy picture viewer and converter. Downloading huge collections of icons from the Internet and creating icons, cursors, gif-buttons and toolbars will be a piece of cake. 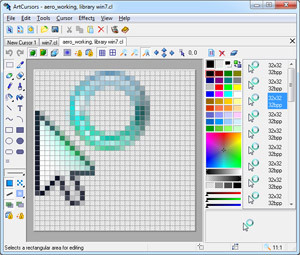 IconLover has a good hand at finding, extracting icons and cursors, creating and editing icons and cursors, importing and exporting icons and cursors and managing icon and cursor libraries. IconLover is fitted out with different paint tools, including enhanced gradient fills, which allow you to process images with color depths up to 32-bit True Color. The new version has the following novelties: support for Windows Vista icons, ability to draw smooth lines and shapes, ability to print icon images, brightness, contrast, smooth and sharpness effects, new color palette. You can convert images to cursors and import cursors from icon and library files and from executables. Any to Icon and Icon to Any are two smart image converters, which virtually efface format distinctions and make your work with images a child`s play. BMP, JPG, PNG, GIF, ICO, CUR, WBMP, PSD, XPM, XBM are main supported formats. The converters have a wizard style interface, which makes it simple to process multiple files at a time. AhaView is another vital part of IconUtils. It supports all popular graphic formats, helps you to browse images in the thumbnail mode, view pictures full screen with zooming features, convert images and manage files. IconUtils has all you need to express your artistic nature and create your own unique icons.